Female Afghan students attend a class under a tent at a school in Jalalabad. The Globe and Mail and We Charity have partnered to promote media literacy and education around global issues. This is part of a series of discussion guides and videos for parents and their children to read, watch and discuss together. Find more learning guides on the Globe-WE Learning Hub. 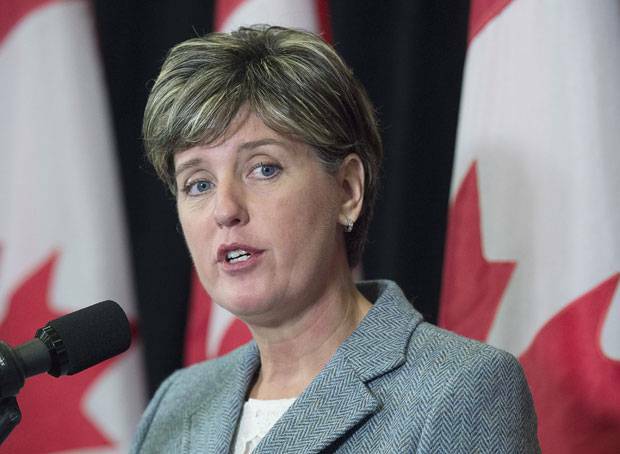 Canada is redirecting foreign aid in an attempt to empower women and girls. The plan, called the Feminist International Assistance Policy, was announced in June 2017 by International Development Minister Marie-Claude Bibeau. Here's what you need to know about the main action areas and some of the Canadian NGOs that will be trying to make change on the ground. The most important issue is sexual and gender-based violence. It is pervasive globally, and solutions involve numerous sectors, from justice and policing to health care. Addressing it also requires the engagement of men and boys through better education. Through advocacy, investment and diplomacy, Canada will also try to address human trafficking and exploitation. The feminist-centred policy will be administered through the newly established Women's Voice and Leadership Program, with $150-million over five years going to organizations that promote equality in the developing world. In March, while developing the new feminist policy, Ms. Bibeau announced that Canada would spend $650-million over three years to boost the sexual and reproductive health and rights of women and girls. In July, she committed $241.5-million to boosting family planning services in the developing world. This includes spending $18.5-million on a project to help adolescent girls access abortion services and family planning in Mozambique, where nearly half the population is under 15. The program will be administered by Pathfinder International. Canada will also seek to address the twin issues of low or unpaid work plus the burden of care women shoulder, and the need for woman to have equal access to capital, digital technology and business development opportunities. According to Canada's International Development Research Centre (IRDC), 70 per cent of African women do not have access to savings and chequing accounts, loans or credit. In Paraguay, more than 60 per cent of women work in conditions of low productivity, no social protection and no labour laws. In urban areas, Canada is working through local partners to raise education levels and improve unacceptable working conditions. Further initiatives include technical, vocational and entrepreneurship programs. In rural areas, Canada is working through local partners to provide training and financing: One Senegalese village has become a centre of honey production, and now 4,500 women in the region are expanding the project to include mangoes, cashews and forest fruits. 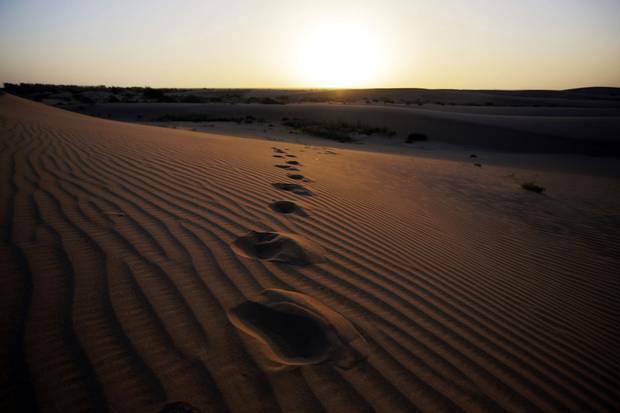 Extreme weather, particularly desertification, hits women and girls hard. Women farmers in poor areas have access to less fertile land. They do not have funds to cover losses from drought or flood. They must gather water for their families, meaning less time for paid work or school. In 2015, the Canadian government committed $2.65-billion over five years in climate finance to vulnerable countries to mitigate the effects of and adapt to climate change and to help them move toward low-carbon economies. Canada will invest $1.8-billion of that sum to spur private-finance support for clean innovation in those countries. Funding decisions will be made through the UN's Green Climate Fund. But, under the new feminist lens, Canada will insist on women's inclusion in policy on climate-change adaptation and sustainable resource management; on where financing is directed to address women's particular challenges in climate-stressed regions; and on supporting opportunities for women in the renewable-energy sector. The Canadian plan will support programs that train women, particularly those who are young and marginalized, to be involved in the political process and social-impact work. For example, the International Development Research Centre, a Crown corporation, is funding a democracy-building pilot project in Tunisia that will teach young women and men about democratic processes and institutions, as well as essential political skills such as debating, team building, negotiating and public speaking. In war-torn countries, women continue to be sidelined in peacebuilding processes, and women's-rights defenders in conflict settings continue to be harassed. According to a 2013 UN study, women's participation in the peacebuilding process increases by 35 per cent the probability that a peace agreement will last for at least 15 years. Through support of work such as that of Canadian Women for Women in Afghanistan and other not-for-profits, women's voices can be raised in aid of their countries. The organization invests and manages the development and operation of schools and literacy programs in Afghanistan, with a special focus on women and girls. With education comes the ability to speak up. The world achieved 95 per cent equality in education. The gender gap in health was 96 per cent closed. That means women and men are having their health needs met equally in most countries. However, the gender gap in economic opportunity is still at only 59 per cent closed. And the gender gap when it comes to women’s participation in politics is still huge, with only 23 per cent participation by women in politics across 144 countries. Promoting women's equality and empowerment was the third of eight Millennium Development Goals created by the United Nations in 2000 to reduce extreme poverty in the world. The specific target of this goal was to eliminate the gap between boys and girls in both primary and secondary education. Eliminate all forms of discrimination against women and girls. End violence against women and girls. End harmful practices like child marriage. Get countries to recognize the value of the unpaid domestic work that women do, through public services and social programs that support women. Create equal participation for women in national and international politics. Create universal access to female reproductive health services. Promote political reforms that give women more access to economic opportunities and ownership of land and property. Equity: Giving people what they need in order to succeed by creating a level playing field – compensating for disadvantages due to gender, race or other factors. This is different from equality, which simply means treating everyone the same. Power dynamics: The differing ability of groups within society to have influence and make their voices heard. Social norms: Unwritten rules and expectations for behaviour and roles in society. 1. What does International Women's Day mean to you? What would you do to observe or celebrate the day? 2. What is the difference between equity and equality? What is the difference between gender equity and gender equality? 3. Why might overlooking boys and men when addressing gender inequalities make things worse? 4. How can we promote and create gender equality at home and around the world? How is the role of boys and men changing in the community shown in the video? Peter taught Francis an important lesson: “If you don’t step forward you will always remain in the same place.” How are Peter and Francis stepping forward? How might this focus on boys’ education create or contribute to gender equity? 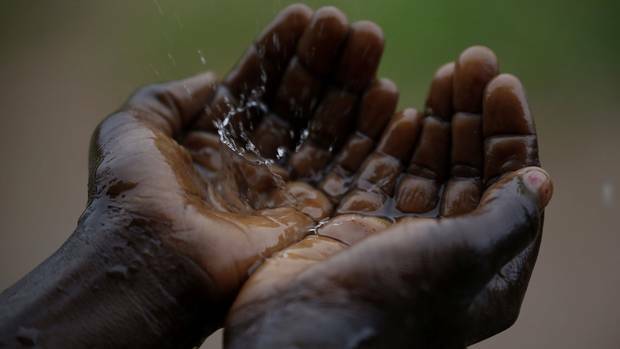 Food and water insecurity: Why there’s enough to go around – if we stop wasting now While these stats may not surprise you, other facts about food and water insecurity might.